Sometimes lazily and erroneously branded as a “Chinese X-Men”, a franchise with which it has very little in common beyond CGI and powers, Koan Hui’s League of Gods is actually much closer – in concept, story and visuals – to Alex Proyas’ Gods of Egypt, not that the marketing team would want to play that particular angle, following the much-publicized flop of that film (which we actually liked, for all its faults). 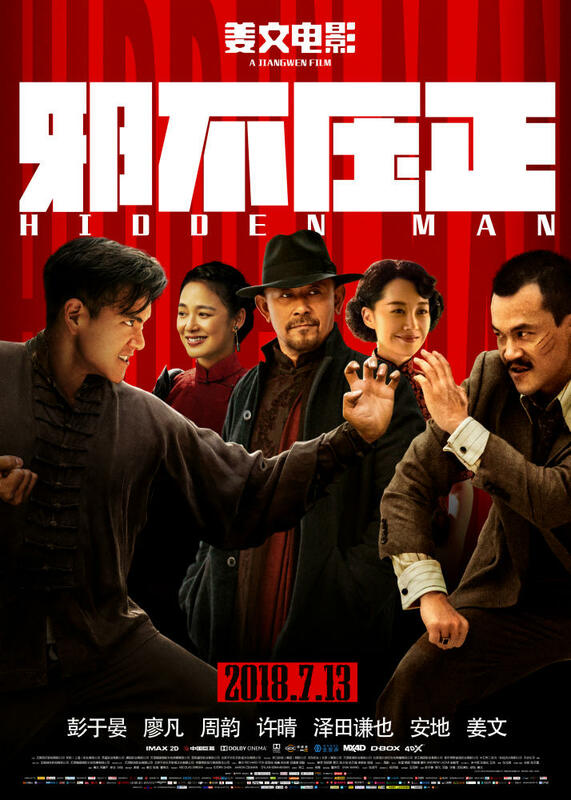 It’s set in a mythical ancient China ruled by the evil king Zhou (Tony Leung Ka Fai) and his consort Daji (Fan Bingbing), who’s actually a Nine-Tail Fox demon who pulls the strings on every one of his power-hungry moves. But Zhou is met with resistance from the kingdom of Xiqi, ruled by king Ji Chang (Zu Feng) and old strategist Jiang Ziya (Jet Li). The latter sends his protégé Lei Zhenzi (Jacky Heung), the last of a once-flourishing winged tribe, on a mission to retrieve the Sword of Light, which is the only weapon that can defeat the Black Dragon, the evil and powerful entity from which king Zhou draws his power. 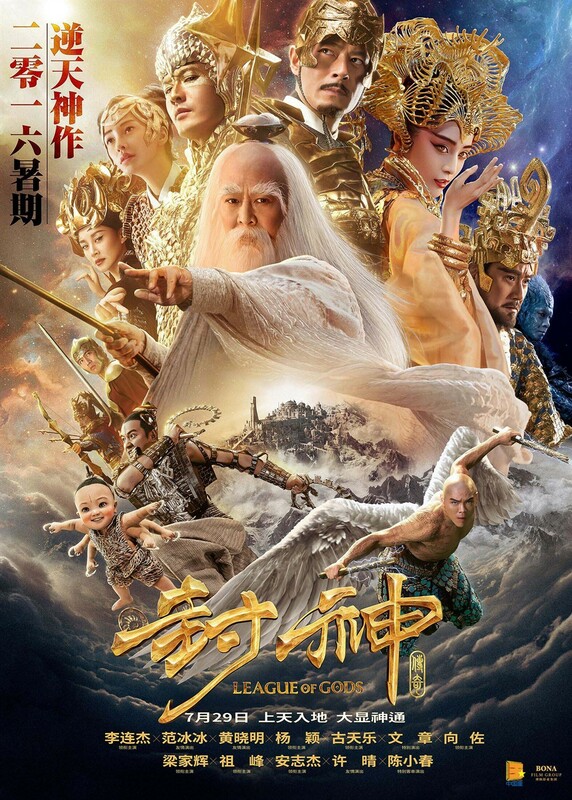 In his quest, Lei Zhenzi relies on the help of Ji Fa (Andy On), his childhood friend and the son of king Ji Chang, Nezha (Wen Zhang), a rambunctious warrior who alternatively appears as a baby and a grown man, and Erlangshen (Huang Xiaoming), a mysterious warrior with a truth-seeking third eye. Lei Zhenzi also meets Blue Butterfly (Angelababy) a whimsical young woman with whom he falls in love, but who’s actually a creation of Shengong Bao (Louis Koo), king Zhou’s chief general, who has orders to kill him and his companions.